Now that we have plenty of sources for inspiration, and motivation for that matter, on how to properly deal with interior décor makeovers, it’s not surprising we want to add some changes in our abodes. The windows are no exception either, taking into account window coverings make for an impression on the inside of the home, as much as on the outside. 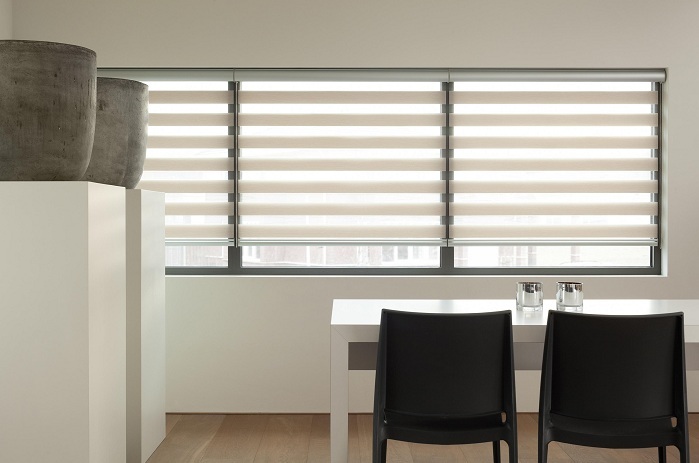 Speaking of windows, it’s more often than not curtains, and draperies are the primary choices, however, blinds aren’t to be overlooked either, particularly not the ingenious double roller blinds. Available in a wide range of fabrics, as well as colours, and designs, to be combined together, they are sure to wow you with how easily they blend in with your home’s style. Be wary though, to get a seamless result, you have to know how to measure for double roller blinds. First, trust you can do it on your own – it’s an easy DIY project when you can rely on a check measure work sheet, and the detailed instructions provided by the blinds store experts. It’s needless to say knowing how to measure for double roller blinds, properly, means you have to make sure you always measure from left to right of the window. That being said, you have to have the adequate tools at hand, like the easy to use and highly accurate laser measurer. It’s important to avoid some of the most common mistakes, such as not measuring in millimeters, being too long with the mililmeters, or not measuring every single window that’s about to get the blind thinking they all appear the same in width and height. As you can guess by the name, there are two blinds in one, which means double the advantages. To make the most of the window covering project, and the double design, a word of advice is to mount the blockout blind outside, and the sunscreen inside, for utmost privacy, and light control – especially in the bedroom. Remembering the top of the window frame is where the brackets are to be placed, don’t forget that’s where you have to measure. After all, the measurement refers to the outside edge of the roller blind bracket, and not the fabric width. To increase durability, you should order the blinds with spring assists, so you make gliding up and down piece of cake, not worrying about wears and tears. Since most blinds come with installation manual, this would be another ideal DIY project, as you can set them up yourself and save up some money without requiring the help of professionals.